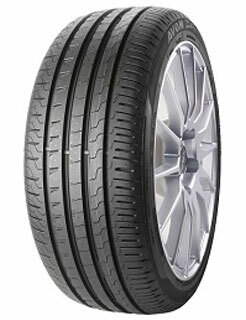 Based on predecessor tyre ZV5, the ZV7 is a premium performance tyre with 'A' grade wet grip. This tyre provides an impressive combination of performance and safety in summer weather conditions. The ZV7 provides an excellent performance in wet weather conditions thanks to its optimised tread pattern featuring 3D sipes which work to effectively grip to the surface of the road, enhancing stability. In addition, large circumferential grooves rapidly clear water to reduce the risk of aquaplaning. Designed using new polymer technology and advanced mixing techniques, the ZV7 delivers superior grip on wet and dry surfaces and provides lower rolling resistance for greater fuel efficiency.